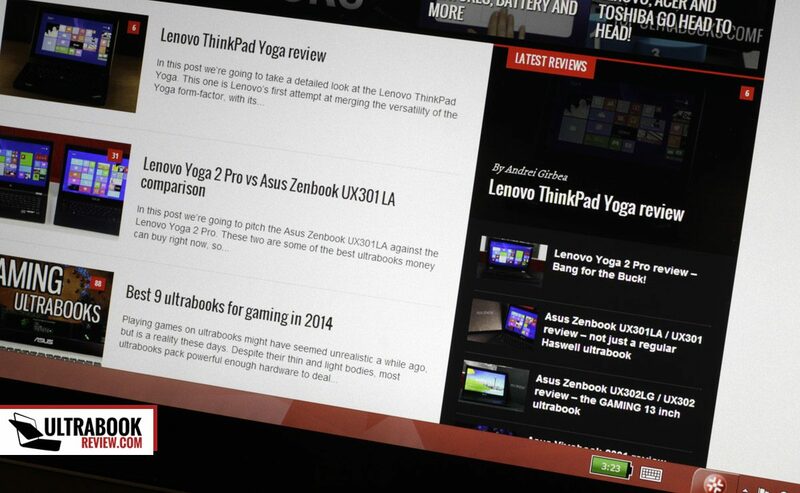 Summary: On a first look, Lenovo's ThinkPax X1 Carbon 2014 looks like a great machine. Sleek, solid, powerful and packed with the latest features, it sound like a great pick for business environments. Unfortunately though, Lenovo chose to redefine the keyboard, trackpad and ports selection, and by doing so, alienated the professional users and heavy typists that would usually buy such devices. 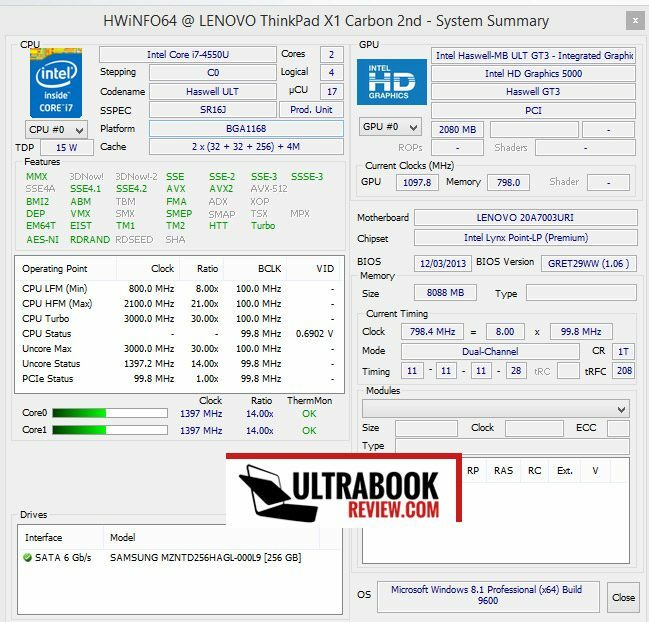 A Haswell iteration of the Lenovo ThinkPad X1 has been much awaited and requested by many business ultra-portables’ users around the globe. 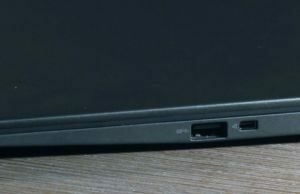 Lenovo finally delivered, with the ThinkPad X1 Carbon 2014 edition, but they did not just update the hardware of their 2013 model. No, they messed with many of this machine’s aspects, and in their quest to produce the ultimate business ultrabook, they actually got carried away with what they call the “Professionally redesigned” X1 Carbon 2014. 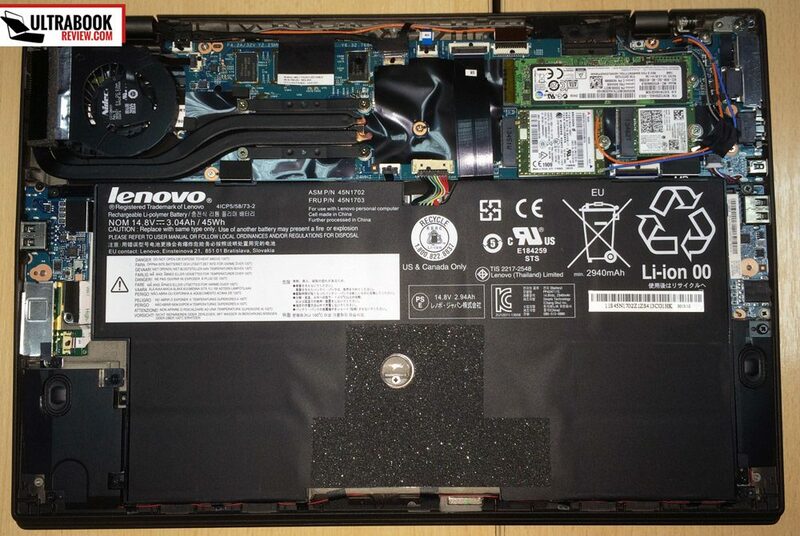 You’ll see what I mean by that if you’ll stick with me till the end of this Lenovo ThinkPad X1 Carbon 2014 review. Lenovo claim to have listened to their customers and addressed their needs with the new X1 Carbon. To some extent, they did: the machine is capable of charging extremely fast, is available in a large selection of Haswell platforms, bundles a high-resolution touchscreen and the latest Windows OS. However, there are at least few details that professional users will resent: the keyboard, the TouchPad and the ports are among those. In this review we’re going to talk about all these aspects. Before we start though, here’s a Full Disclosure: this X1 Carbon 2014 that I’m reviewing here was sent to me by Lenovo and I’ve been using it as my main driver for a little under one week. It is a final retail version, identical to those available in shops. Besides that, I’m normally a Lenovo user myself, as the THinkPad X220 is still my everyday go-to laptop these days. The X1 Carbon is beautiful, in a very subtle, unobtrusive way, just like a ThinkPad should be. The entire frame is made from carbon-fiber, which helps keep the weight down (the tested version, with a touchscreen, weighs around 3.1 lbs and is slightly lighter than the original X1 Carbon). 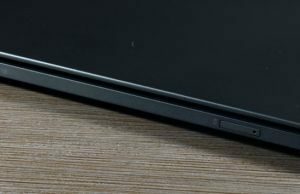 However, unlike another carbon-fiber made ultrabook we’ve seen in the last months, the Sony Vaio Pro 13, the ThinkPad is in fact very sturdy. The body will hardly bend or flex during everyday use, and pushing hard on the lid-cover shows no ripples on the screen. In other words, the X1 Carbon lives to my expectations and proves that those Military Grade Tests that it meets are not just a marketing gimmick. On the outside, the soft-coated shell provides proper grip and allows you to easily grab and carry this laptop around. It will however show smudges, like most other ThinkPads do, but you’ll learn to live with them. The X1 Carbon is not just solid built, it’s fairly practical as well. On the inside, the palm-rest is very generous, while the screen’s bezel is narrow, making this laptop quite compact for a 14 incher. A decent set of ports is lined around the sides, although not really enough to satisfy most professional users. On the left there’s the power plug and the OneLink dock connector, the video output options ( Full-Size HDMI and mini-DisplayPort ), one USB port with Charge-while-sleeping abilities and the combined mic/headphone jack. On the right there’s another USB port, a Lan adapter (provides an Ethernet port via the dongle included in the pack) and the exhaust grill, while on the back there’s a SIM tray. What’s missing? Well, a VGA port and, more annoyingly, an SD card-reader. I can live without the VGA port, especially since I can work around it with a suitable adapter (not included), and I understand why it’s been left out from such a thin laptop (The X1 Carbon measures under 20 mm in its thickest point, including the rubber feet), but the card-reader should have been there. 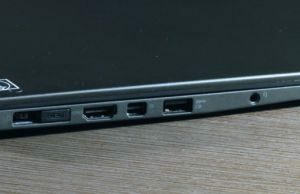 Lenovo tries to compensate for all the lacks with their ThinkPad OneLink Dock support out of the box, but that means that you’ll have to shove another $150 or so for it and even if you end up buying it, it does not solve the on-the-go potential connectivity issues. Not to mention that the dock itself lacks the SD card-reader as well. 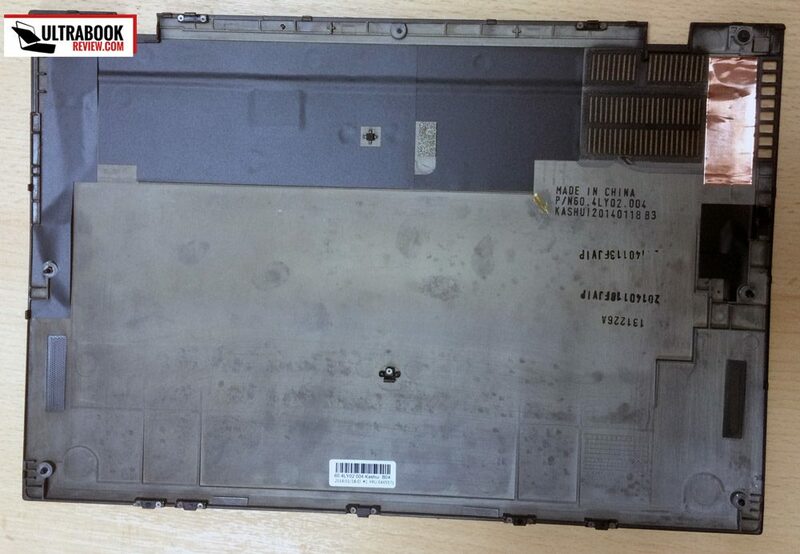 Flipping this laptop upside-down, you’ll notice the two speakers, the redesigned cooling grills and a redesigned belly as well, which is now easier to take apart if you want to access the internals. 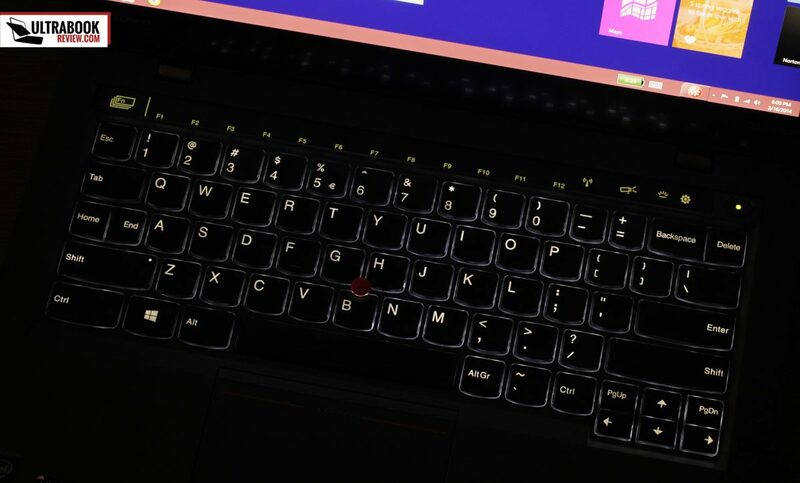 Bottom point, the X1 Carbon 2014 looks and feels like a veritable ThinkPad. It has lost some weight and some fractions of an inch around its waist generation over generation, but it kept the conservative, simple look that many of us love about this line. These are by far my biggest gripes with the X1 Carbon 2014. Let’s take them one at a time. First, the keyboard. It packs proper sized chiclet keys, with a fair stroke for a machine this thin. Typing on it is comfortable, and the spacious palm-rest does help improve the overall experience. 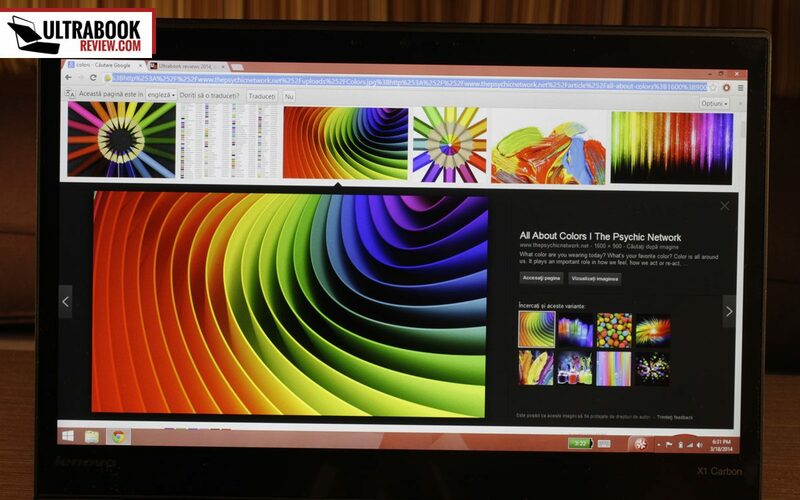 However, Lenovo badly messed up the layout, as you can see from the pictures below. The BackSpace and Delete keys are merged together in the right upper corner, which is unusual. The Home and End key replace what was normally the CapsLock key on the Left side of the keyboard. The Caps Lock key is gone for good, although its function can be activated by double hitting the Left-Shift key. But other keys are missing as well, like Print Screen, Insert or Function. 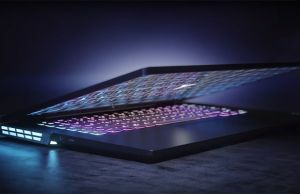 And then there’s what Lenovo calls the innovation: the Sixth row of Function keys was replaced by a tactile liquid-crystal panel, which displays various tactile controls. Aside from the standard set of F Keys, you do have a bunch of other sets of shortcuts, dynamically bound to various apps. For instance, when having the browser launched, you’ll get shortcuts for Back, Reload or New Tab, and so on. In theory, that might sound useful. In practice, it’s extremely annoying. First of all, the entire set of shortcuts creates confusion. You have to look at the keyboard in order to know for sure where’s the control you need to tap. And you have to change between the several different sets of icons to reach what you need. This greatly diminishes productivity. Not having a proper 6th row of keys, with tactile feedback, just like all the other keys, is another major drawback for experienced typists, who don’t need or want to look at the keyboard to perform a given command. So long story short, the Adaptive keyboard might be useful for some of you. But if you’re the kind of professional user this laptop should actually target (programmers, IT personnel, heavy typists, photo/video editors, etc), you’ll probably hate it. If Lenovo would have introduced this on a Yoga, I wouldn’t have enjoyed it, but probably wouldn’t have cared that much about it either. On a professional machine though, a device that should improve the productivity of my workflow, this experiment is simply unacceptable imh. 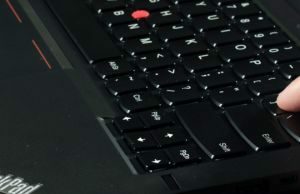 And then there’s the trackpad, which looks and acts a lot like the one of the ThinkPad T440S. It is larger than on the older X1 Carbon, so there’s more room for basic swipes or gestures. 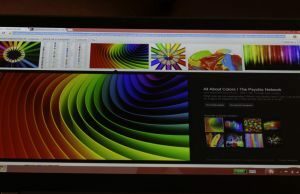 The touchpad’s surface is smooth, accurate and responsive, so not much to complain about in here. However, if you’re a TrackPoint user, the X1 Carbon 2014 is going to greatly disappoint you, as it no longer packs the dedicated upper-side click buttons, which were so easy to use. 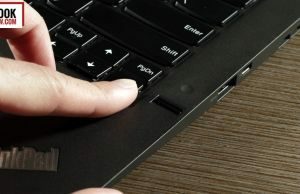 They were replaced by two clickable surfaces on the TouchPad, but in order for clicks to be registered, you’ll really need to press them hard, hard enough to lower the entire Touchpad’s surface. And that’s easier said than done. On top of that, I was expecting to be able to move the cursor around with the trackpoint and just tap on the TouchPad for regular clicks. But that doesn’t seem to work on this unit. All I could do was press the surface to register the commands, which was extremely annoying. 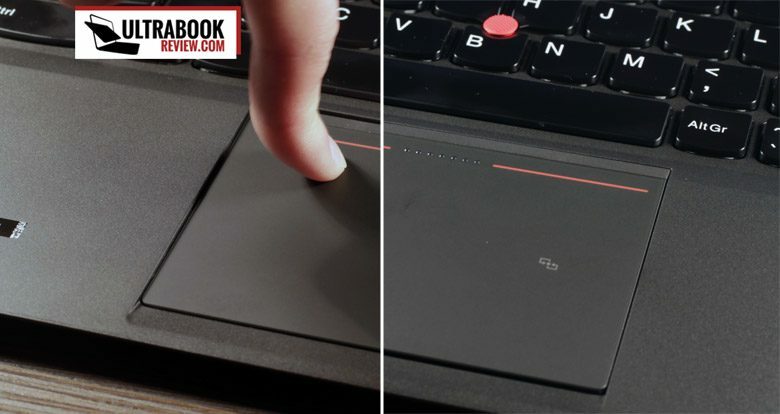 Now, if you’re not a TrackPoint user, you’ll probably get along fine with the X1’s new TouchPad. But if you’re a long-time ThinkPad user, like I am, chances are you’ll be really pissed off with this implementation. 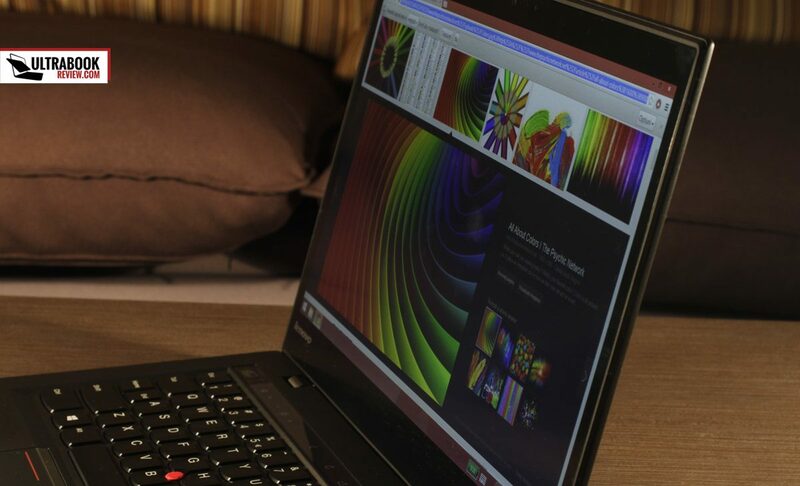 The tested ThinkPad X1 Carbon packs a WQHD screen, with an IPS panel and 2560 x 1600 px resolution. The colors, viewing angles and contrast look good to the bare eye, although more thorough tests showed rather poor color space coverage. The screen is however rather dim for my liking, and even when using the laptop indoors, I had to bump up the brightness to at least 80% . That has a negative impact on battery life and bright-light visibility as well. Despite that though, the X1 Carbon is usable outside, mainly due to its matte anti-glare coating. And yes, that’s not a typo: the X1 Carbon’s touchscreen is coated with some sort of matte film, which somewhat reduces reflections and glare. But don’t expect the same experience you’re getting with standard non-touch matte displays. Aside from that, the X1’s screen leans all the way back to 180 degrees, and this allows you to perfectly adjust the viewing angle no matter how and where you’re using this device. For me, this is a huge deal. However, there are two other aspects you should be aware off: this laptop displays sharp content as long as you keep it at native resolution. But that translates in minuscule fonts and interface elements in the standard Windows Desktop mode, which are probably unusable for most human beings, me included. That leaves you with two options: either lower the resolution, or scale-up the interface. Unfortunately though, both options result in blurry, fuzzy content and that’s going to be especially noticeable when reading texts. And unfortunately, there’s just nothing we can do about that. On top of that, this touch-panel has some sort of muddy graininess, which is probably caused by the anti-glare film. Again, it’s more visible when reading texts or content on white backgrounds and amplifies the fuzziness impression. 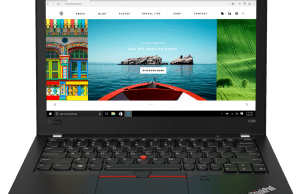 Now, if you hate the scaling issues and muddy look, you should know that Lenovo equips the X1 carbon with a standard HD+ 1600 x 900 px panel as well, available on the cheaper configurations. That’s a non-touch TN panel though, which means that it’s brighter than the WQHD panel, but lack the colors, contrast and viewing angles of the higher-end option. So it’s not a perfect alternative. 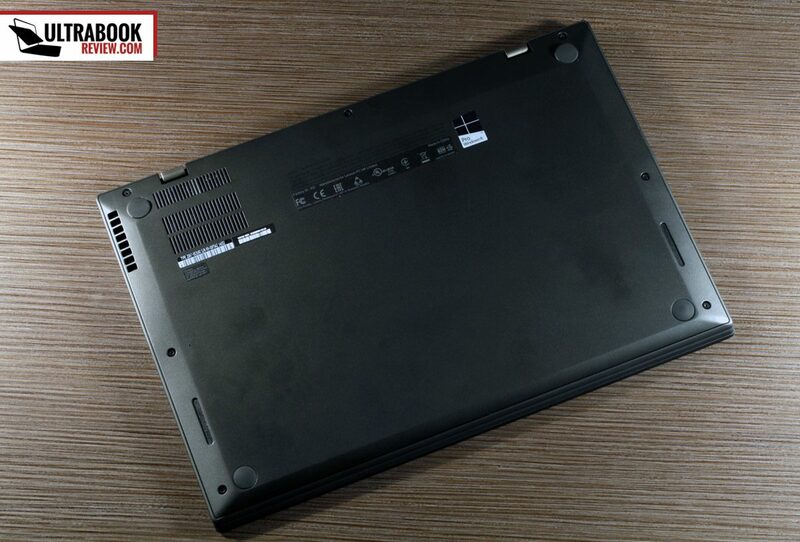 Hardware wise, the Lenovo X1 Carbon 2014 is as strong as an ultrabook can be these days. 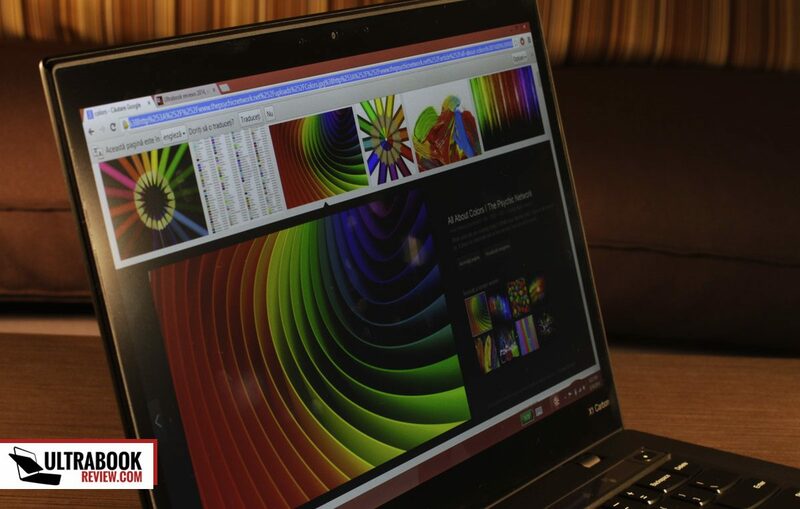 Our test version comes with the Intel Core i7-4550U CPU, 8 GB of RAM and a 256 GB SSD. This particular CPU is clocked at 1.5 GHz and packs Intel HD 5000 graphics. If you don’t necessarily need the graphics, the X1 Carbon 2014 is also available with the higher clocked Intel Core i7-4600U processor, which is however bundled with Intel HD 4400 graphics. On top of those top-tier configurations, several different Haswell Core i5 options are available as well. 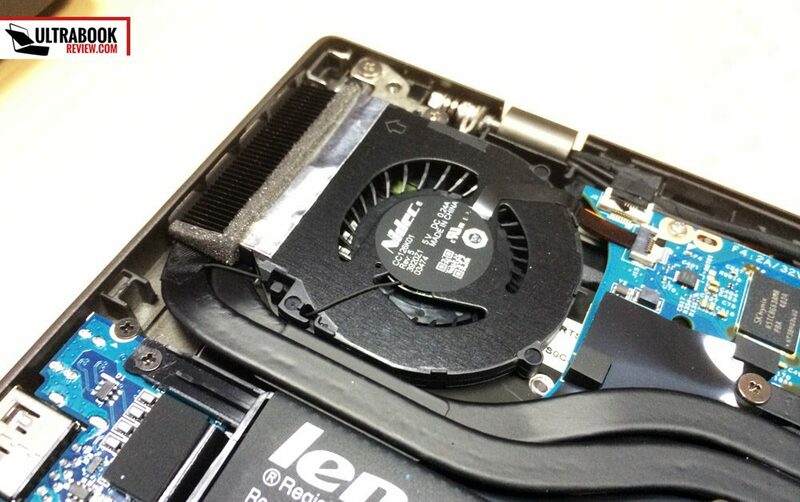 The X1 Carbon is not very upgrade-friendly, as the CPU and the memory are soldered on the mother board. 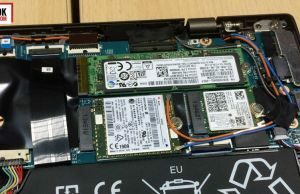 However, the rear-panel can be easily removed, as it’s only tied in place by a few screws, and this allows you to access and clean the cooling-fan, or access and upgrade the M.2 components: the SSD, the Wi-Fi and Cellular modules. 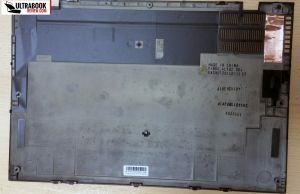 The battery is also hold in place by a couple of screws, and that makes it fairly easy to replace down the line, if needed. The everyday use experience is snappy on the X1 Carbon 2014. The device boots from cold in under 10 seconds, instantly resumes from sleep, launches app fast and easily handles all the basic daily tasks, but also more serious pieces of software as well (Photoshop, Visual Studio, Excel, etc). On top of that, the X1 can tackle games too, especially on this Iris 5000 equipped configuration. I’ve added a few benchmarks below, if you’re interested in sheer numbers. CineBench R15: OpenGL 23.36 fps, CPU 241 cb. There is one thing I have to add here. Out of the box, I did notice that the CPU was quickly capped to 0.8 GHz while having the laptop plugged-in, despite choosing the High Performance mode. That was visible in benchmarks, but not that much in daily use. Disconnecting the plug removed the frequency limitation and the the CPU was able to run at full throttle on battery mode. As I couldn’t find a solution for this strange behavior, I went ahead and updated the BIOS to the latest version available in Lenovo’s Update application. That seemed to mostly fix the issue, with one exception: the CPU was again capped while running 3DMark13 Cloud Gate and it remained capped after running this test, until I unplugged and replugged it. While running any other apps or even the other tests within 3DMark13, everything worked fine. It’s important to mention that HWMonitor showed no signs of thermal throttling in this case, so I reckon this is some sort of software bug. However, since the cap did not interfere with real-life performances in any way, I don’t think this aspect should bother you that much. But I had to mention it nonetheless. When it comes to noise and emissions, the X1 Carbon deserves some praises. With daily use scenarios, in barely gets warm on the back, in the upper-right corner, where the hardware and the heat-pipes are placed, while the CPU is completely turned OFF most of the time. 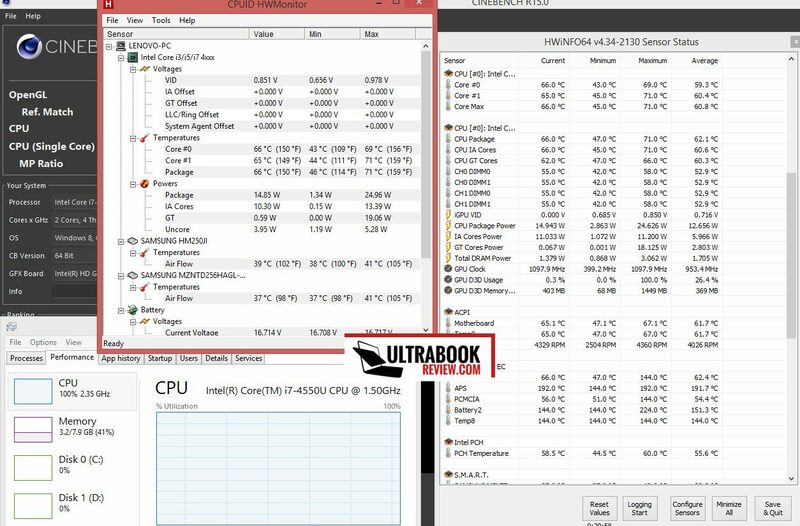 When put to work, you’ll hear the fan spinning and you’ll even feel the same upper-right side of the body heating up, but it never gets uncomfortable to use, not even when playing games for hours in an warmer environment (about 25 Celsius in my room right now, and the CPUs never got pass 75 degrees). Even in this case, the X1 is almost inaudible, and Lenovo’s new fan-design takes the “blame” for this, with its asymmetric blades (similar to what Apple use in their Macbooks). On the other hand, the speakers are lacking. The X1 Carbon packs two of them, on its belly, firing towards the table, and while they are definitely loud, they sound tiny, unnatural. Besides that, if you’ll cramp up the volume, the laptop’s body is going to vibrate quite strongly, which does not necessarily have an negative impact on the audio quality, but is annoying nonetheless. The X1 Carbon packs a 720p camera on top of the screen, and given how this is a business laptop, I was expecting it to be at least decent. Well, it’s alright in fair light and extremely grainy in poor-light, or in other words, it doesn’t raise to the expectations. The Mics however are clear and sensitive, so the X1 carbon will do fine for occasional conference calls. 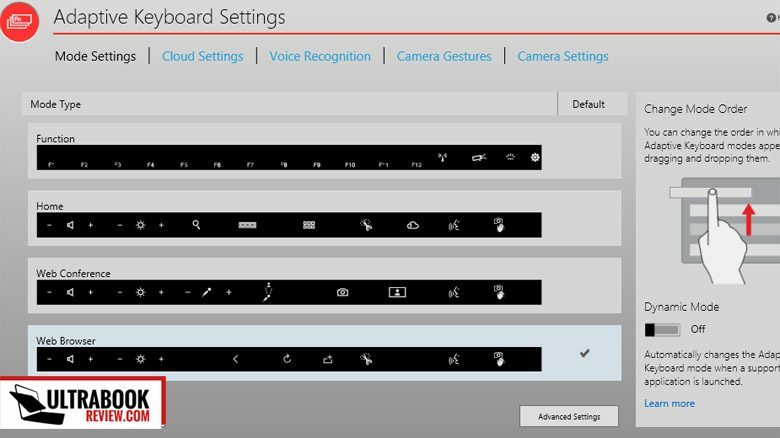 Lenovo also introduced Gesture and Voice Controls on the X1 carbon, which let you navigate between pages, Play/Pause movies and so on by waving your hands in front of the camera or by speaking to the Laptop (uses Nuance’s Dragon NaturalSpeech software for that) . These tend to work Okish, I’d say, but app support is limited. Not to mention that the entire Gesture Control idea is just a big flop imh. 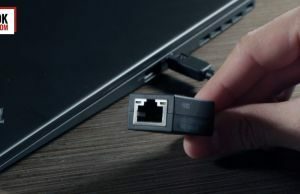 In terms of connectivity, the X1 carbon 2014 packs a dual-band Intel 7260AC Wi-Fi/Bluetooth module and an Ericsson N5321 cellular HSPA+ modem. I didn’t get to test the later much, so I’m not going to comment on it. However, I wasn’t entirely satisfied with the Wi-Fi performance. The speed is dropping fast when getting a bit further away from the router (20 feet, 2 walls), which is not happening with my older ThinkPad X220 and many other laptops I’ve tested. And on top of that, I did encounter two Wi-Fi Drops in this last week, as the laptop failed to recognize any Wi-Fi networks out of the blue and needed a restart to get it back online, and that happened when streaming online video, in both cases. 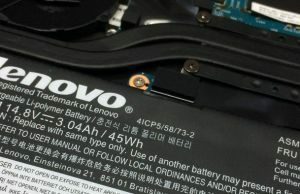 I’m not sure if that’s a serious problem or some sort of isolated issue, as it only happened twice, but Lenovo’s laptops were crippled by Wi-Fi problems in the past, so this particular aspect was worth mentioning. The X1 Carbon packs a 45Wh battery, which is encased, but not glued in place, so should be fairly easily replaceable if needed. Paired with the Core i7-4550U processor, this allowed for between 2 to almost 7 hours of use on a single charge. On a daily use scenario (Energy Saver, screen at 60%, Wi-Fi ON), which consists of having Chrome opened with a few tabs, a text editor, some music playing in the background and some occasional YouTube videos, the X1 carbon will run out of juice in about 6 hours. Streaming a 1080p video from Youtube while using the same settings will see it asking for a charger after about 5 hours. Editing movies in Adobe Premiere on the other hand will eat though the battery in under 2 hours. Of course, all these numbers are highly subjective and you might get better or worse results, based on how you’re using the laptop. For me though, the X1 Carbon fared alright (although other laptops do last more, for sure). I do have to mention that I did turn OFF the screen’s Auto-Brightness feature and the keyboard’s illumination for all these tests, so take these into consideration when comparing my results with yours. 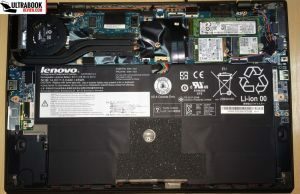 It’s also worth mentioning that the laptop requires about 150 minutes for a full charge, but the RapidCharge feature allows you to charge 80% of the battery in only 30 minutes, if needed, according to Lenovo’s ads. The Lenovo X1 Carbon 2014 is available in a bunch of different configurations around the globe, with various Intel Haswell Core i5 and i7 processors (packed with either Intel HD 4400 or HD 5000 graphics), up to 8 GB of RAM and a few different types of SSD storage. Not all of these options are yet available globally, but the availability should improve in the next months. 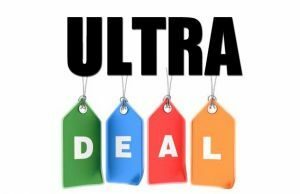 Follow this link for more details and potential discounts at the time you’re reading this post. Price wise, the base version, with an Intel Core i5-4200U processor, 4 GB of RAM and a 128 GB SSD, plus the 1600 x 900 HD+ matte screen, starts at $1199 in the US. The beefier models with the WQHD touch-screen, like the one tested here, are easily getting over $2000. Lenovo’s motto for the ThinkPad X1 Carbon 2014 is “Professional Redefined”. And indeed they redefined the original X1 Carbon launched in 2013. 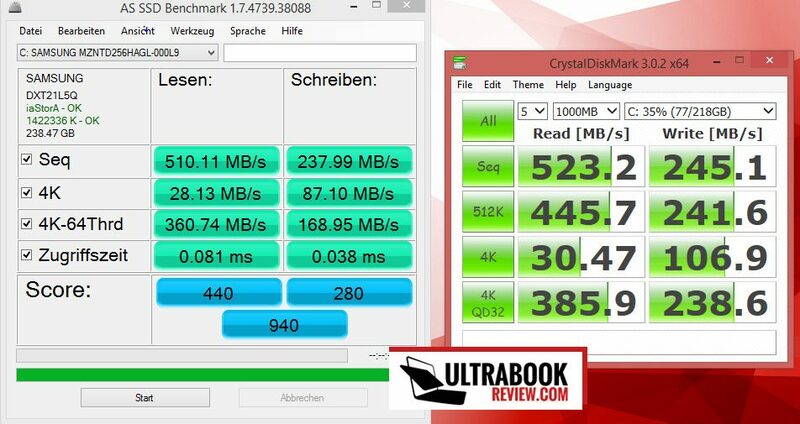 The more powerful and more efficient Haswell configurations are clearly a welcomed upgrade. The more compact and lighter body as well. The high resolution screen is arguably an improvement as well, not because it’s a bad panel, but mainly due to Window’s inability so scale well on high density displays. In other words, architectural, the X1 Carbon 2014 is one of the most interesting ultrabooks of the moment. However, when it comes to ergonomics and usability, the new X1 is NOT what it should have been. 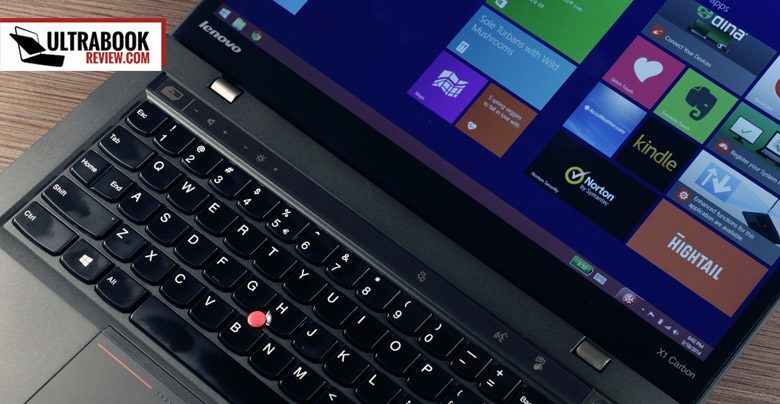 Lenovo redefined the keyboard and trackpad and left-out some ports. And all of these are crucial elements on a business laptop, a laptop targeted at professionals who need the power and the productivity, and are willing to pay serious money for that. So if you’re one of these professionals, you should probably stay away from this “experiment”. 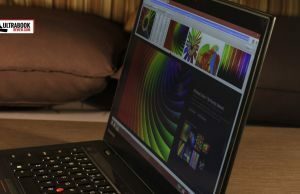 The ThinkPad Yoga, the ThinkPad X240 or the ThinkPad T440s are just some of the better (or more affordable), more NORMAL alternatives in Lenovo’s camp. And you also have Dell’s, HP’s and Fujitsu’s options out there as well. Now, some of you might consider my review too harsh or think that I’m nitpicking too much at the keyboard and trackpad. After-all, the X1 Carbon is clearly not a bad machine and many would love to use it everyday. As a daily ThinkPad user though, I don’t appreciate or encourage useless changes, especially when these lower my productivity. And judging by what those who ordered the X1 Carbon 2014 posted on the forums and by how many of them actually decided to return their units after a few weeks, I’m sure I’m not the only one who thinks so. 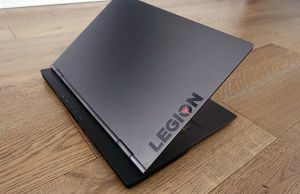 Hopefully, Lenovo will listen to the negative feedback this time and “redefine” their next generation X1 Carbon once more, so we can actually buy and enjoy using what they conceive. Till then though, the X1 Carbon remains a nice 14 inch ultrabook, worth considering ONLY if you’re OK with its shortcomings. One thing to note… batterybar is a terribly inaccurate app. the math right there on your picture doesn’t add up. 44,120mWh in the battery discharging at a rate of -5,218mW does NOT equate to a 3:27 runtime, not even close. The math doesn’t add up. I have this exact laptop and get 5-6 real work hours out of it away from the wall. This is doing real work including multiple browsers, code editors, a SQL Server database engine, Visual Studio, Lync and Outlook all churning at the same time. Not bad runtime to be honest. yes, battery bar is inaccurate at runtime estimates. But it’s fairly accurate at discharging rates, so I’m only using it for that. As I said in the text, I also got around 6 hours of real-life worktime, but to be frank, I wasn’t running as many things as you do. Maybe you keep dim the screen more? The alternative to i7 is i5-4300u which would save me $170, but I’m not sure if reducing the processor would worth the saving. Also, there’s no option in the US to get the model with iris graphic, and I wonder if the difference of graphic performance is noticeable with the application I’m using. 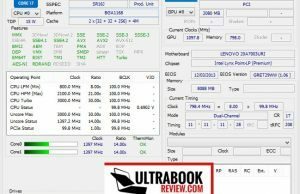 Now that the Asus Zenbook 303LN is on the horizon and seem to be less expensive, though your review of that model is towards gaming performance more than anything, I wonder if instead of getting x1c I should just wait for the 303LN…. Please shed some light. Thank you! CPU power, the amount of RAM and storage speed matter more with those Adobe software than the actual graphics, at least for now, and that includes Premiere as well. This however might change with the next releases, Adobe are working hard on taking advantage of the graphics for various processing tasks. Not sure about Rhino or Autocad though. So I don’t think getting these CPUS with the Intel HD 4400 chip would make a noticeable difference over getting CPUs with Iris, especially since Iris configurations are scarce. The config mentioned should do fine for your requirements and I’d stick with the i7 processor if your budget allows. The UX303LN is another nice option, for sure cheaper than the X1C and easier to upgrade. You could buy a more basic model and than add RAM and an SSD yourself, if you want to. I personally think the 13 inch FHD panel on the Zenbook offers a more appropriate pixel density than the 2560 x 1440 px 14 inch display on the Lenovo, given the scaling issues in Windows 8.1 . This could be a problem since you’re planning to use a lot of third party software that might not scale perfectly. 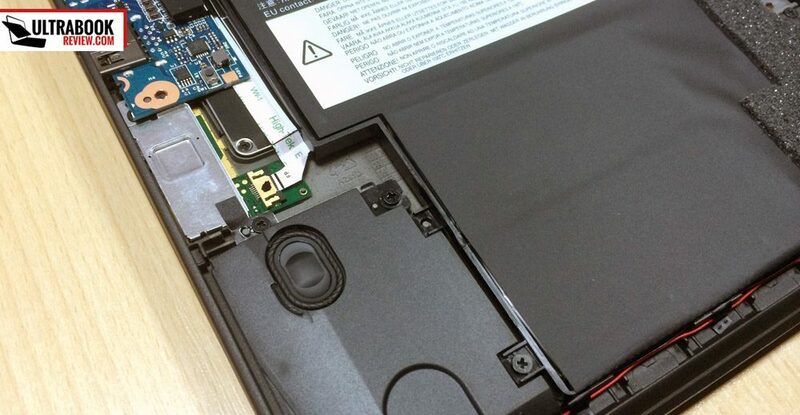 The ThinkPad has the superior customer support on its side and in theory, superior Warranty services. Not sure how things are where you’re living, but over here I got 36 months included warranty with Next-Day service option for my ThinkPad, something Asus does not offer. Besides that, you might also want to consider something with a Core i7 HQ processor. Unfortunately this kind of CPUs are mostly bundled in larger computers and come alongside dedicated graphics, which makes the end products really expensive. The Razer Blade 14 could be something worth looking at if you’re planning on working on really complex projects, but again, it is pricey and you’d be paying for something you won’t use much, the graphics. Thanks for the review. Is this machine good enough for gaming? like playing fifa, cod, gta 5 or other big games with graphics details set to high? Hence the distinction between work-centered tasks vs entertainment toys. HD 4400 has full D#D 11 support, along w. OpenGL 4.0. Yes, this cannot be a primary system which comprises dual i7 Zeons, 32GB DDR5 and a Quadro K6000. But it still steps up to the plate when you’re mobile, server offline, as I continue to use it at home, on work DWG/SKP files. Great review. I totally agree that Lenovo has lost it ways with this Thinkpad Laptop. They need to seriously go back to what made the Thinkpad Brand have a huge following. 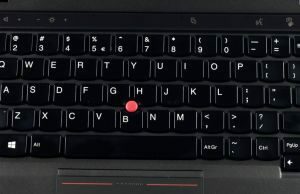 Thinkpads use to target professionals / business users. Now it seems like they are turning this laptop into a macbook pro wannabee. Which all you do is watch youtube and go on facebook. Yeah, we’re gonna spend 2k to watch youtube and browse facebook. 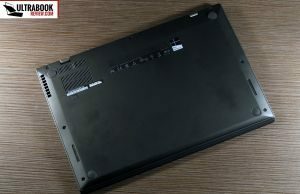 Get rid of the adaptive keyboard, bring back the SD card slot, bring back the trackpads and find a new LCD suppliier (Samsung), because the one Lenovo uses on it’s X1 Carbon is PURE GARBAGE. Got the X1-C in Sep ’13, my third Thinkpad, from a Z60t (first laptop w. integrated cellular broadband, and interestingly, the only Thinkpad with a titanium cover). I’ve been constantly amazing both Clients & colleagues alike. With 25 yrs in architecture, I started 3D modelling in ’95, in the reigning era of SGI & Intergraph, and hand-building my own dual CPU machines with “workstation-level” OpenGL solutions. Oftimes, the 3DLabs card cost more than the box and everything else in it. Needless to say I was exceedingly skeptical of the on-die integrated GPU, without dedicated high bandwidth memory, rather having to share system RAM with the CPU/FPU. Simply put, the 1st Gen 2013 X1-C blew me away. Being able to manipulate shaded, hidden line 3D models off of an integrated on-die GPU was unbelievable. Placing my design’s sketchup model in google earth, piping display via MDP to the conf room projector sold the design, secured the commission, which was expanded by another 65%, impressed as Ownership was. The fact that all this was done on a sub-3 lb X1-C, i5 1.8GHz 4GB DDR3 12800 (yes you read that right). So barely after a year, I’m wondering how much more I could do w/ an i7-HD 5000 combo backed by 8GB of RAM. Thank you, thank you, thank you – for an honest review. Almost more critical to task execution speed is the interface. And from what I’ve read, the hardware performance gains are far outstripped by the enormously deficient keyboard/F-key adaptive strip, and most baffling the absence of an SD slot. So yeah, I’ma stick with my current X1-C c. 2013. Gladly so. Very nice review. I am in the market looking for an ultrabook which combines all the new technology and be reliable (windows pref.) 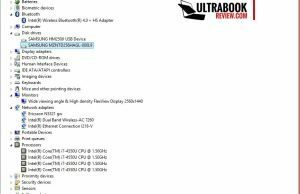 and i am between x1 carbon – Asus zenboook 301LA. The both have about the same specs (display,ram, ssd ports) although i believe the x1 has much better quality design-build and a bigger screen plus lighter, the downside as i read in comments is the screen cz is somehow dim. I am an MA student and i need it mainly for lots of typing, reading pdf, presentations, browsing the web in fast speeds and occasionally for watching movies and of course with a battery life that goes over 5 hours for classes. Which one would u suggest me cz i cant decide? Thank you very much! Thanks very much for your reply. The f keys is not a big problem for me although i believe i have to get used to the new “capslock key” and i also believe the thinkpad gives you better palm rest when u r typing. Is there any way to make the screen brighter?? I havent had the chance to check the QHD version but the lower resolution edition that i checked seems to me so dim! This is the deal breaker for me and is the only reason i am still thinking about it. 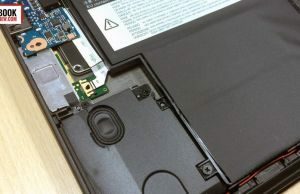 And a last question what about zenbook keaboard how does it feel? I have read that it s not consider “one of the best in the market”. Thanks a lot Andrei. 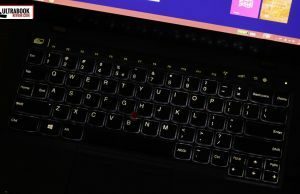 THinkPads offer better keyboard than any of the Zenbooks. But that doesn’t mean Asus’s keyboards are bad. They’re OK once you get used to the feedback, just a bit shallow and spongy. Can’t say how bright the screen is< i didn't have the tools to test it at the time of my review. 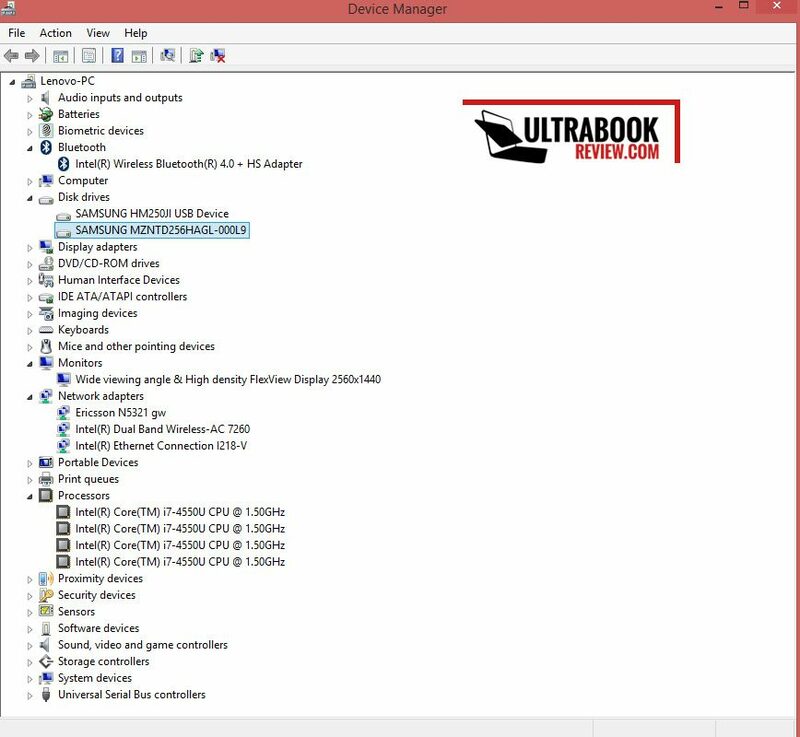 Try to find the reviews on notebookcheck.net . Everything above 300 nits is more than enough for indoor use. If you plan to use it in very bright conditions (daylight, outdoors), I'd say aim for 350 nits or higher. Thanks Andrei. 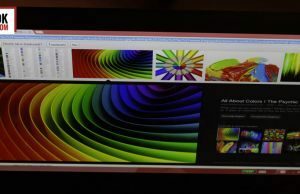 Although i love the keyboard of the lenovo the screes is just 260 nits bright as the retailer informed me, instead the zenbook i think has above 350 nits plus the difference in money is BIG so i would choose Asus… Thank you very much! Glad I could help. Let me know what you think about the Asus when you’ll get it. I purchased an x1 carbon, opting for the previous model just as the Haswell’s were being released to save some on cost. It net my needs well for about 6 months of typical usage (50% travel), but then the screen went blank. Turns out the unit I rec’d was a factory repaired unit where they had reflowed the solder, making it functional but brittle. The result was not a surprise once I saw what had been done. Lenovo did nothing for me though I tried to get service through their authorized dealers (they were the ones that found the reflow). My only option was to pay myself to have a new motherboard installed – cheaper to buy a new laptop, which I did. 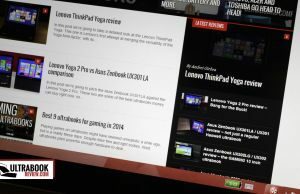 This experience with Lenovo was a huge disappointment; I will never spend another dime on a Lenovo product. To what extent has Lenovo fixed the keyboard/input problems on the 2014 X1 Carbon in the later (2016 and now 2017) versions of this model?